Crochet circle vest patterns are always popular. Crochet circle vests are not only cute wardrobe additions, but also they’re easy to make since there’s no shaping involved. There are so many different style out there too. 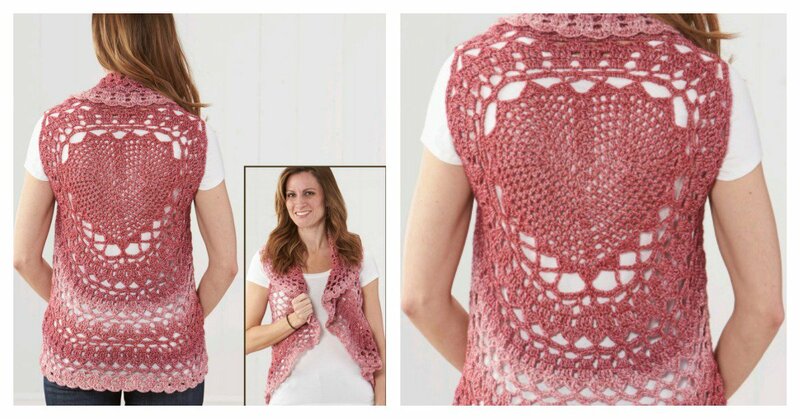 This Lupine Circle Vest Free Crochet Pattern can help make this sweet circle vest with a lovely gradient effect created with self-striping yarn. It’s made in the round from center back and out in one beautiful circle. You can wear your heart on your back. Everyone will admire your style when you step out in this dreamy vest. Enjoy.